Hey guys! Just through I would let all of you Fabricworms know that Safari Soiree just arrived! This adorable collection has been swinging through the jungle and is ready to head to your homes. Get your yardage now! 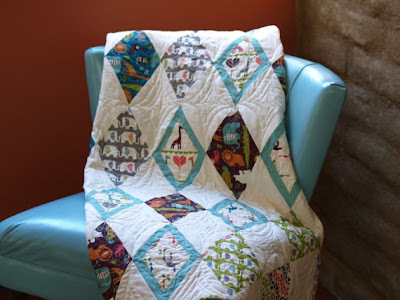 We also have this super cute quilt pattern AND kit available! Just purchased from this collection! I can't wait for it to arrive! I love the elephun best!!! How adorable! I'm stopping in from The DIY Dreamer...to say "Hi!"